On Thursday, temperatures plunged to -14 degrees in Detroit, shattering the record low of -7 degrees set in 1920 according to the National Weather Service. 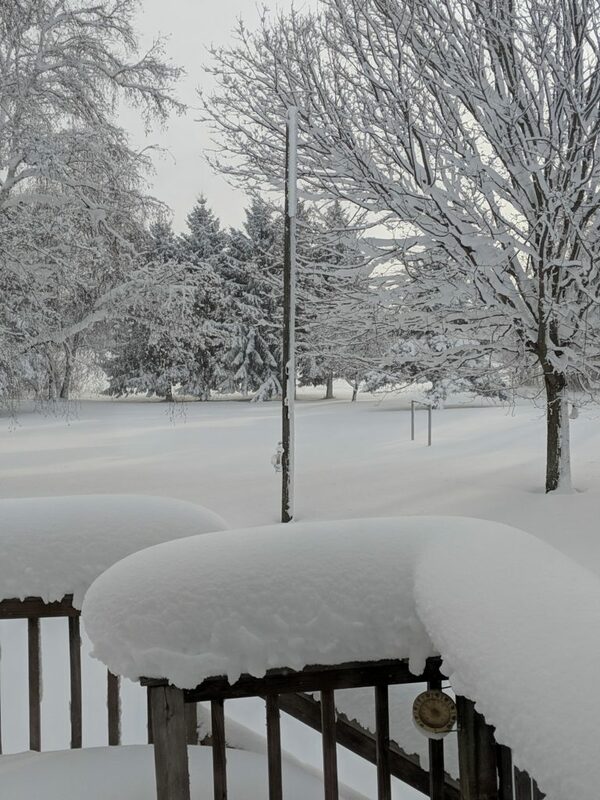 LANSING — Governors in three states, including Michigan’s Gretchen Whitmer, declared state of emergencies this week as record low temperatures and three cold-related deaths were recorded in southeast Michigan, with more deaths expected, according to authorities. Wisconsin and Illinois also issued declarations, as Chicago meteorologists shared scenes of a frozen Lake Michigan that looked like a “boiling cauldron” of rising water vapor. Extreme temperatures in combination with blistering winds claimed the lives of at least 21 people throughout the Midwest, including 70-year-old Gary Simmons of Ecorse, a former City Council member and teacher, and two other Michigan residents. A 70-year-old Detroit man was also found dead, said to be wearing only his underwear by the time police found his body around 8:30 a.m. Wednesday. 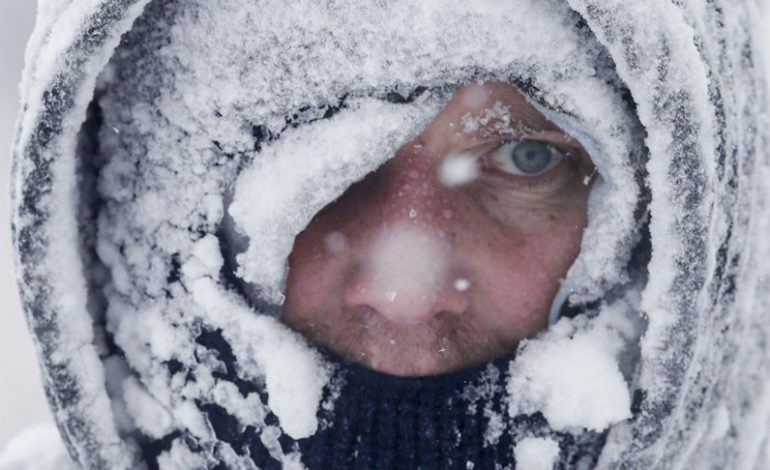 Wind chills reached from -25 to -40 in the state after a warning was issued by the National Weather Service. Gov. Whitmer’s request for 65 degrees or lower heat settings expired on Thursday at midnight. On Wednesday, Governor Whitmer called a press conference to update residents and to make an unusual request. “I am asking that you please, tonight, turn down your thermostat 65 degrees or lower,” she said. On Wednesday, Consumers Energy thanked residents and businesses for their compliance with Whitmer’s request, stating that residents would be able to turn up their thermostats again by midnight Thursday, earlier than expected. 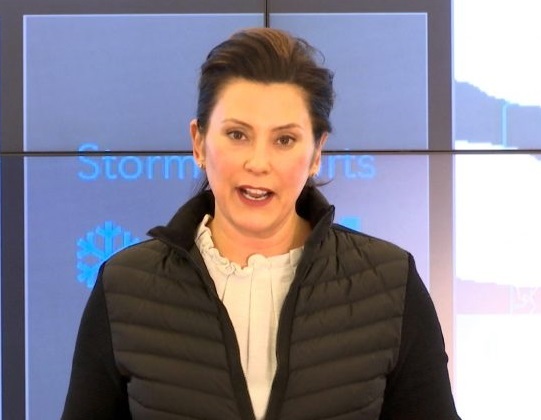 Whitmer later asked the Michigan Public Service Commission to conduct a review of the state’s energy supply and preparedness. A desperately needed warm-up was said to be on the way for the weekend, with temperatures of 15 degrees expected on Friday and temperatures above 40 degrees expected on Saturday and Sunday, with above freezing temperatures forecasted through Thursday. Polar Vortex satellite picture via the National Weather Service/Grand Rapids. The deadly cold snap also took its toll on businesses and flights in the area, as automakers Ford, General Motors and Fiat Chrysler all agreed to “interrupt” work schedules through Friday in order to address potential energy shortages brought on by the cold and a fire at a Consumers Energy gas plant in Macomb County. As of Thursday, 107 flight delays and 71 cancelled flights were also recorded at Detroit Metro Airport in Romulus due to weather concerns. 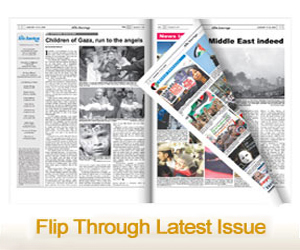 In addition, two days of service suspensions were ordered by the U.S. Postal Service in Michigan, which said it will resume mail delivery, collections and pick-up services on Friday through the southeast part of the state. 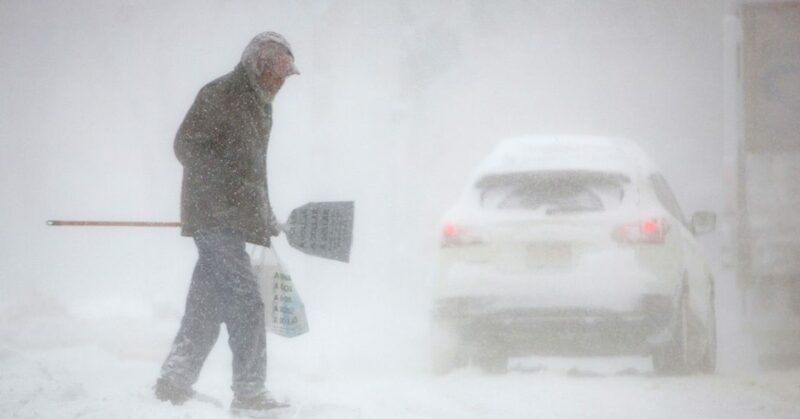 “As we resume delivery, we ask our customers to continue clearing sidewalks, paths and approaches to the mailboxes for the continued safety of our letter carriers,” Detroit District Manager Karlett Gilbert said in a statement. 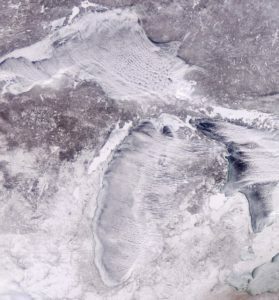 Now the freeze is over, Michigan will see a dramatic warmup in the next few days, with temperatures swinging 60 degrees or more and raising the risk of flooding, according to the Federal Emergency Management Agency (FEMA). According to the National Weather Service in White Lake, southeast Michigan could see record temperatures in the low- to mid-50s this Sunday and Monday — a big change from Thursday morning’s reading of minus 13 degrees. Monday’s forecast also calls for rain and fog. But the record warmth also could result in rapid snowmelt, ice jams and water runoff, the agency said.